Take advantage of a special offer available only via Lakeland Business Leaders for a limited time! You know that video allows your brand to stand out against the white noise of your competitors and branded video is directly linked to the growth of online brands. 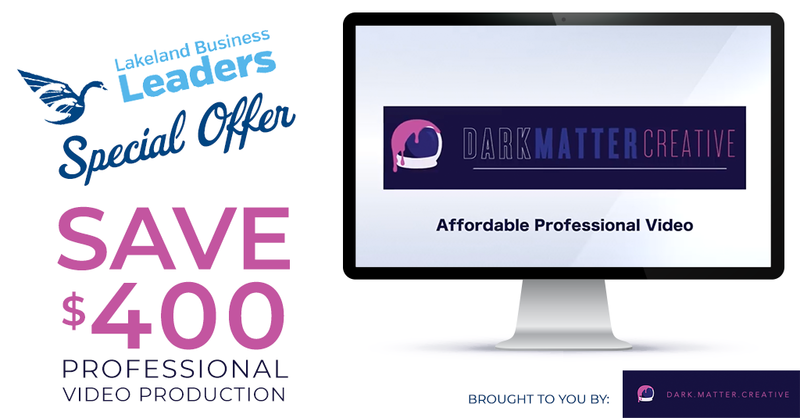 High-quality professional video has never been this affordable before, and Dark Matter Creative will never have these prices again! Dark Matter Creative constantly competes for video jobs with other local video production companies who submit bids in the $1,500-$5,000 range for a 1-minute video. Dark Matter Creative puts its best effort into all projects. This small business promotional videos offer is $399 per video until April 30, 2019 After that, our market prices will be $799 per video. That’s a $400 savings! 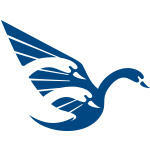 The video you see on this page was created by Dark Matter Creative using several real past customer’s videos. The video speaks for itself. Dark Matter Creative can customize your video to meet your brand’s individual needs. Protect these promotional rates by contacting Andy Johnson today! Once this deal is over on April 30th it is finished forever. Fill out the form above to take advantage of this special LBL offer provided by Dark Matter Creative. I am ready to produce my video now! I want to take advantage of this deal, but I am not quite ready. I have questions about this deal. Lakeland Business Leaders is a comprehensive professional network that nurtures strategic connections, builds authentic engagement and offers opportunities for collaboration among professionals in order to grow local businesses and strengthen the Lakeland community. The Lakeland Business Leaders are passionate about two things: Business Relationships and using our connections to improve our community. Our Mission is to create a sustainable, evolving presence within Lakeland that leads and supports the ongoing development of an economically and socially vibrant community for our businesses and families.